When people learn that I am a competitive archer, their first reaction is to usually ask if I started because of The Hunger Games. While I am a fan of the series and think it’s amazing how popular archery has become because of it, I was actually slinging arrows at a target years before Katniss became popular. After trying archery at a Girl Scout camp and liking it I, discovered a local archery club and decided to join. My first bow was tiny, about the length of my forearm, and a “long” distance to me was 20 meters. 4 years later I am now shooting bow taller than I am at distances of up to 60 meters. 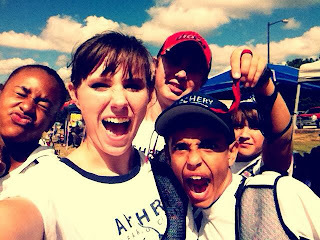 I’m a member of an archery team, the Archery Learning Center Hornets and a member of USA Archery. 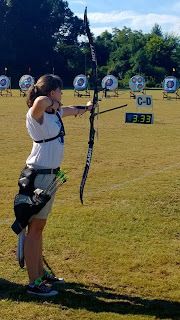 Within the past year and a half I decided to get more serious with my archery and began competing at tournaments. Archery tournaments are not just quick one or two hour events – they usually last all day and some are even days long. One of the most important things I’ve learned from shooting in a tournament (aside from what to do when your bow breaks unexpectedly) is what snacks to bring. 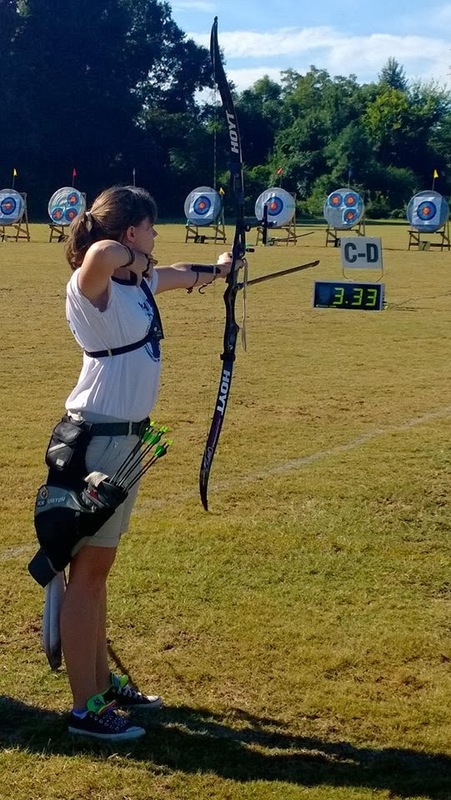 While some people don’t consider archery a “real” sport or workout, it most definitely is. Archery engages many different muscle groups including your arms, back, shoulders and core. When you’re shooting hundreds of arrows a day, you’re going to get sore and you’re definitely going to need fuel to keep you going. The type of snacks I bring help me stay energized and full so I can shoot all day, and they’re great snacks to bring to any other sporting events you might be competing in. My first rule of thumb when packing snacks is to not bring foods that contain a lot of sugar like cookies, gummies, or sodas. Foods that are full of sugar may make you feel energetic for a while but will end up leaving you tired and sick. Instead, bring foods that have a balance of protein and carbohydrates, such as peanut butter, whole grain crackers, cheese, nuts and yogurt. Protein will help keep your muscles strong and healthy carbs will fill you up and give you long-lasting energy. Protein bars are another good option because they fill you up and are convenient to pack. Another important thing to remember is to bring lots of water. Always try to sip water as you exercise, don’t drink it all at once or you’ll get painful stomach cramps. If you don’t want to be drinking water the whole time, bring a sports drink with low sugar, such as Gatorade. Sodas and juices usually contain a lot of sugar and nasty chemicals that will make you feel sick if you drink while exercising. Bringing fruit is always a good idea – bananas are a great fruit to bring because they contain protein, fiber and potassium which will help you give you long-term, natural energy. Apples and strawberries are other convenient fruit options to keep in a cooler for snacking. 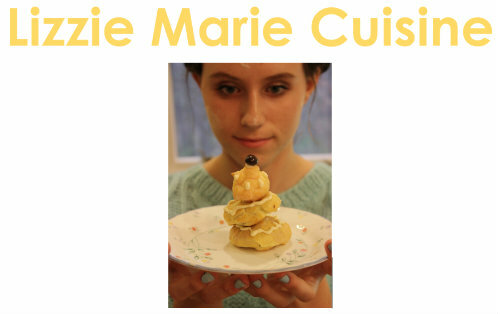 The most important thing to remember is to know how much to eat. Make sure you snack regularly to stay full and energized, but don’t go overboard and eat everything at once. I can guarantee you’ll be able to compete better on a stomach full of healthy snacks then a stomach full of sugar and chemicals! Thanks for reading and good luck at your next sporting event. Fromagerie - How Stinky Can It Get?